The service is designed precisely for local city usages. You can easily avail this service online at our portal. The Local Full Day service will be available for a variety of local trips including sightseeing, shopping, attending meetings, seminars, visiting hospitals, and a lot more. This is a mini package service designed for local city tour usages. We offer this service for half day including Airport Transfer in Jaipur, Car rental service for Marriage, party and event, Corporate Cab Rental in Jaipur, Railway Transfer, visiting hospitals and a lot more. At My Taxi India, we offer exclusive packages for outstation travel. These packages make for an ideal choice for weekend getaways, trip with friends, excursions, and family leisure trip outside the city limits. We will take into account, interests and precise needs of our patrons prior to making arrangement for a package. Here, you can also arrange for group packages from Jaipur to places nearby. The cars sent across will accommodate group size to ensure maximum convenience. This is an exemplary to and fro provision offered in Jaipur for our esteemed clients interested in making to and fro trip to Jaipur. The service is available for multiple destinations from Jaipur. This is a special package designed to cater to one way drop to traveller’s destinations from Jaipur. We also offer special Jaipur city sightseeing tours and any other customized cab rental packages. 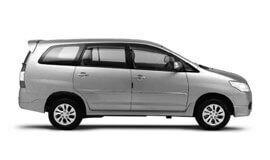 At My Taxi India, we guarantee the unsurpassed car rental services in Jaipur at highly affordable rates. Jaipur enjoys a semiarid climate categorised under ‘Köppen’ which receives over 650 millimetres (26 in) of rainfall per annum. In Jaipur, most of the rains occur between the months of June and September. Temperatures are relatively all year. Heavy rains and thunderstorms are common during monsoon. November to February is pleasant with little or no humidity. The city also experiences cold waves that lead to temperatures near freezing. Presently, according to census 2014 the total population of Jaipur is 3,400,000. In the year 2008, Jaipur was ranked 31 among the 50 Emerging Global Outsourcing cities. The country’s industry giants Genpact and Infosys have BPO in the Pink City. Mahindra SEZ l is also one of the largest IT SEZ across the country. The city’s economy has experienced a boost with the World Trade Park. Jaipur is a beautiful city located in the state of Rajasthan. It is referred to as the abode of many architectural marvels including the regal City Palace, the magnificent Hawa Mahal, the marvellous Jantar Mantar, the historical Amer Fort, Nahargarh Fort and Jaigarh Fort. The land is also known for colourful festivals such as Gangaur and Teej.